Peoples Heating and Cooling has been a household name in the Shelbyville and the Greater Indianapolis area since 1929. With thousands of customers who rely on us for their home and business heating and cooling needs, Peoples Heating and Cooling, provides prompt, professional and friendly service all at a affordable price. 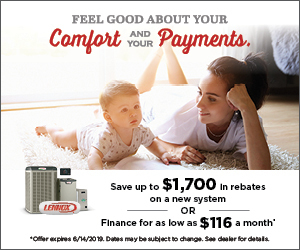 Whether you are looking for a new Lennox high efficiency furnace, service or repair, quality installation of a furnace, heat pump, air conditioner or better air quality in your Shelbyville home. Peoples is your local Shelbyville heating and cooling contractor trusted by your neighbors for over eight decades. At Peoples Heating and Cooling, we offer professional friendly heating services to customers throughout the Shelbyville area, including furnace installation, maintenance and furnace repair. We install heat pumps, high-efficiency gas furnaces, dual fuel furnaces, and more. We also offer routine furnace maintenance and annual furnace tune-ups to keep your heating system efficient and running properly. Click here to learn more about the furnaces we offer. Your home comfort system may be the biggest energy appliance you own. You can lower your monthly energy bills and enjoy superb home comfort all year long with a new Lennox high efficiency heating and cooling system from Peoples. We offer a wide range of systems that are designed to fit any budget. Investing in an energy efficient heating and cooling system is a great way to save money on your monthly utility bills! 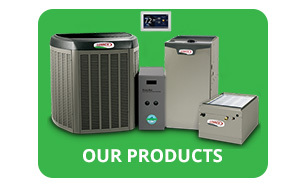 View our heating and cooling products here. We offer a full line of Lennox indoor air quality products, such as whole house air purification systems, humidifiers, dehumidifiers and UV germicidal lamps as well as duct cleaning and duct repair and replacement and duct sealing. For air filtration to combat indoor pollution we attach a whole-home systems air purifier to your furnace or central air. That way, you have peace of mind knowing your system is working to capture small contaminants in every room of your Shelbyville home. See our indoor air quality products. Ductless heating and cooling systems are high efficient systems that deliver warm or cool conditioned air directly into different rooms in your home, without the use of ducts. You may also hear them called mini-split, multi-split, or variable refrigerant flow (VRF) heat pumps or air conditioning systems. 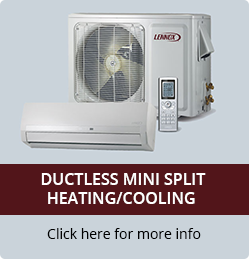 Ductless heating and cooling units use small heating and cooling air units for every individual room, so installing a ductless mini-split system makes it easy to set up heating and cooling zones in your Shelbyville home. Call our emergency service line (800) 917-2283 to schedule one of our local, Shelbyville repair techs now! Whether it's after business hours, over the weekend, or even on a holiday it's no problem! We repair and service all makes and models of home furnace or central air systems. We offer emergency service 24 hours a day, 7 days a week, 365 days a year.